Finding the most efficient ways to store summer items can be a bit of a challenge. I’m going to show you a few of the ways that have worked best for me and my clients over the years. There are a few ways to store bikes in the most space-saving ways. 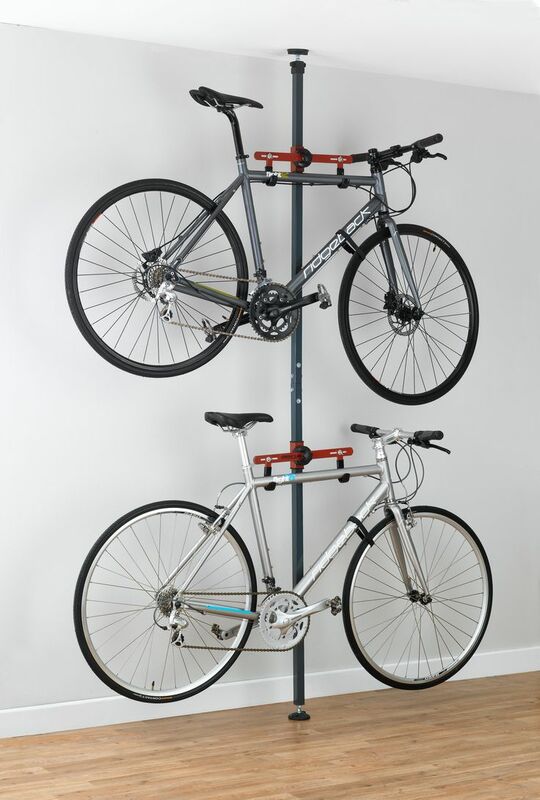 Hanging them vertically is a great option, if you have more than two bikes to store. You can find hooks like these in any hardware store. The next way would be to hang them horizontally. 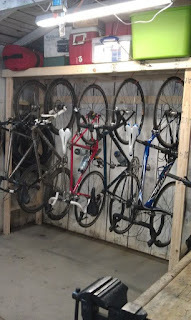 To me, this looks the most visually appealing if you only have one or two bikes to store. It also means you don't have to take up horizontal wall space. 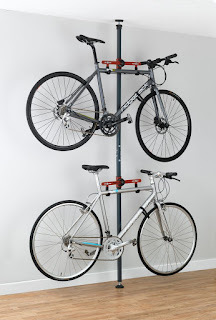 You can install a pole like this with hooks or just buy hooks from any hardware store. If you have easy access to shelf space for helmets, that would be the best case scenario. I recommend not hanging helmets if possible, because that can stretch out the chin straps. It’s preferable to shelve them or put them in a bin and Velcro them to your knee pads and elbow pads for quick and easy access. In terms of tennis rackets and baseball bats, the best way to go would be to hang them on a wall - again so they don't take up floor space and roll away. For various balls, having a large bin to throw them all in so they don’t roll around on shelves would be the way to go. Putting bubbles and chalk in a plastic bin that is containable is ideal, as it can be easily wiped clean. Jump rope can be hung with hooks from any hardware store. 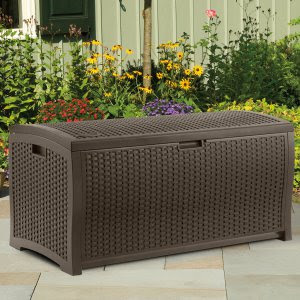 Another option for storing summer time gear would be to purchase a patio storage container or deck box like this one. More often than not, these containers do lock so if you are short on space in your garage, you can leave this outside through the fall and winter. If you have outdoor cushions that need to be brought in after summer time, those can be zipped into a big storage bag or wrapped in trash bags and stored up high on a shelf in the garage. Disposable plates and silverware can be wrapped up in a Ziploc bag and stored in the garage or in the house. Even a Tupperware container works for storing these utensils. Hope this helps! Happy storing!